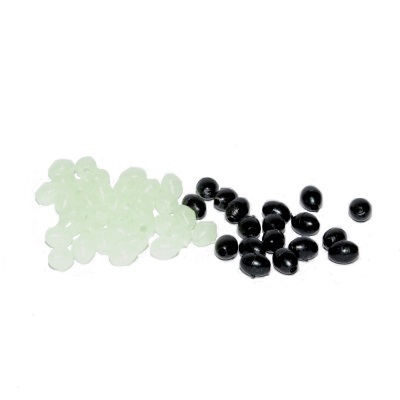 These Trace Builder Rig Beads small and compact (size 3.5mm by 5mm) and designed for UK sea anglers’ rig making needs. These beads are oval in shape and can be used to trap swivels between two crimps. Despite their compact size they will still easily fit over 80lb breaking strain monofilament. 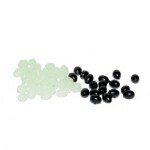 Approx 100 beads in each packet, available in black or luminious colours.